Massachusetts has dozens of hotels, motels, inns, and other lodgings that pride themselves in being comfortable and welcoming toward gay and lesbian guests. LGBT friendly lodgings and accommodations can be found in every price range and in every corner of the state: from city centers like Boston, to the beaches of Cape Cod and Nantucket and Martha’s Vineyard, to the mountains, farmland, and small towns of Central Mass. and the Berkshire Mountains. 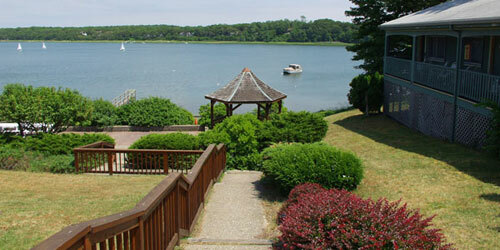 All are close to historic attractions, fine dining, shopping, beaches, and outdoor activities. Take in Boston, and settle in at this unique lodging. Mix, mingle, sip and share some light fare at the W Lounge. The Bliss Spa’s urban oasis of relaxing treatments include Ginger Rubs, Hangover Herbies, Betweeny Waxes and Triple Oxygen Treatments. There’s a luxe nail lounge with movies-while-you-manicure stations. You'll find separate men's and women's locker rooms and lounges as well as weights and cardiovascular equipment at the FIT gym. The hotel’s Whatever/Whenever® service will get you dinner reservations, Red Sox tickets, tours and cruises around Boston Harbor and more. Guest rooms and suites offer indulgences like vibrant décor, state-of-the-art entertainment and internet connectivity, pillow top beds, goose-down comforters, and spa robes. Romantic, historic and near to everything Boston offers, this restored hotel features comfort, luxury and amenities on a unique level. Classic or studio rooms or suites feature canopy beds and fireplaces, minibars, rainforest showers, comfy robes, flat screen TV and complimentary wireless Internet access. Mooo…, the hotel’s restaurant, will provide the tastes you desire any time of day. Savor the selection of fine cocktails, wine, and beer in the intimate lounge. Arrive at Logan just three miles away and prepare to walk, cab, and T your way to the Massachusetts State House and Boston Common, the Old Granary Burial Ground, the theater district, Faneuil Hall/Quincy Market, the Paul Revere House and Newbury Street shopping. A host T ride will bring you to Harvard Square. It’s all here. And then some. 1st on Conde Nast's list of 10 Top Hotels in Boston: Readers Choice Awards 2018. 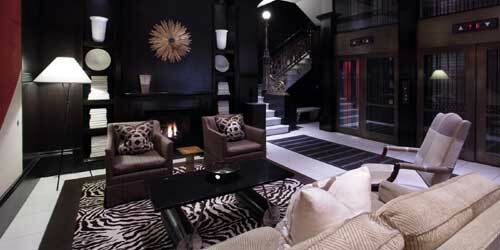 Get away to luxury at this historic Boston hotel offering the finest in service and amenities. Set at the bottom of Beacon Hill you’re within easy access to Cambridge, Faneuil Hall, and Newbury Street. Among the 280 guest rooms and ten suites are family, pet friendly, accessible and connecting rooms. Enjoy tours and excursions, bicycle and kayak rentals, fitness and business centers, a gift shop and a friendly multilingual staff. There is 24-hour room service, in room massage treatments and complimentary wired and wireless high speed internet access. Comforts include luxurious bathrobes, imported bed linens, and down comforters. On site are five of Boston's best drinking and dining establishments while nearby are great beaches, golf, shopping, entertainment and Boston’s history and culture. 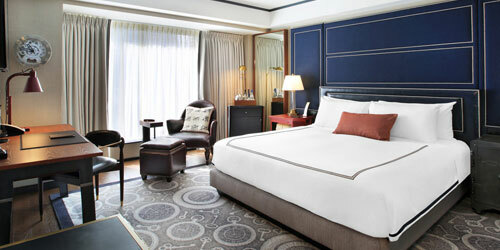 If you appreciate elegance, the Westin Copley Hotel is the place to stay while visiting Boston. 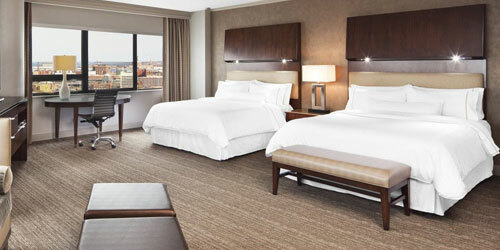 Every room features the super comfortable Westin Heavenly® Bed to ensure a relaxing sleep. Rooms offer views of the Charles River or the neighborhood's historic brownstones. Copley Place -- connected to the hotel on the second floor -- offers upscale shopping options, including Barney's New York, Neiman Marcus, Tiffany & Co., and Ralph Lauren. Or browse the galleries and trendy boutiques on Newbury Street, just three minutes away. Our 24-hour fitness center includes an indoor pool. We've partnered with New Balance to provide athletic shoes and gear for use during your stay. Our Grettacole Spa offers deep cleansing treatment, intensive hydrating treatment, soothing facials, body waxing, hair styling, and massage. 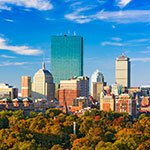 The Sheraton Boston Hotel is a great starting point for exploring one of America's most historic and beautiful cities. Our remodeled hotel includes indoor walkways that take guests to the distinctive shops at Copley Place and the Prudential Center. Trendy Newbury Street, crowded with boutiques and galleries, is just minutes away. Guestroom amenities include a 37" flat screen TV, an ergonomic workspace with high-speed wireless Internet access, our signature Sheraton Sweet Sleeper® Bed, and exclusive Shine for Sheraton™ bath products. Our 18-meter indoor pool features a retractable glass ceiling for sunning on summer days. Our fitness center includes low-impact cardiovascular machines, free weights, and a redwood sauna. Dine at our Sidebar & Grille and Cafe Apropos. 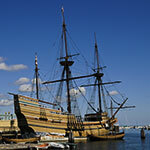 Bring your loved one or family to the gateway to Eastern Massachusetts and find a lot waiting and lot to enjoy. 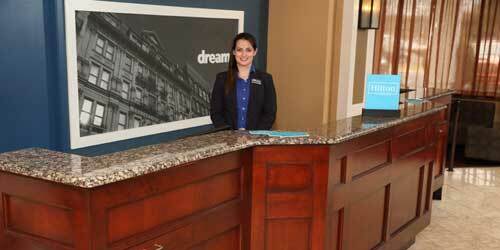 There’s a friendly, multilingual staff, spacious guestrooms, and a complimentary hot/cold buffet breakfast served daily. Stay toned in the 24-hour fitness facility or kick back on the patio and picnic area. You’ll find an express bus to Logan Airport and easy access to Boston’s downtown attractions from sports parks to shopping areas to historic sites. A complimentary shuttle service will take you to more than 50 restaurants, 20 movie screens and 300 retail stores nearby. 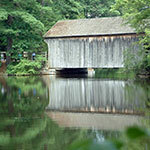 Explore local colleges and the fabulous Natick Mall, enjoy the sports bars and get up close the action, discover a woodland botanical garden or spend the day swimming or kayaking at Cochituate State Park. Choose rooms or suite with various options, like kitchenettes, private decks, waterfront views, and even fireplaces that best suit the tastes of your partner or family or group. 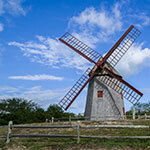 The Cape Cod National Seashore, with its beaches, ponds, walking and biking trails, and excellent visitor centers, is at hand. Enjoy the motel’s outdoor heated pool and water breezes, or head off the property for golf, shopping, dining, exploring, from Hyannis to Provincetown. Back at the motel, evening relaxation includes access to free WiFi and flat screen TV with HD service and expanded cable. 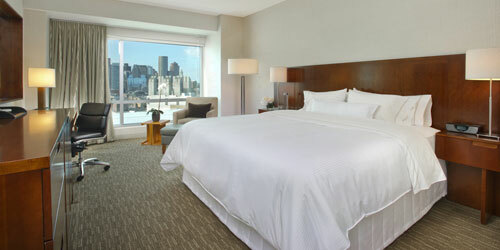 When visiting Boston, stay in one of the city's most distinctive hotels, The Westin Boston Waterfront. It's the perfect starting point for exploring the city's unique and historic neighborhoods, from the Italian North End to Beacon Hill. 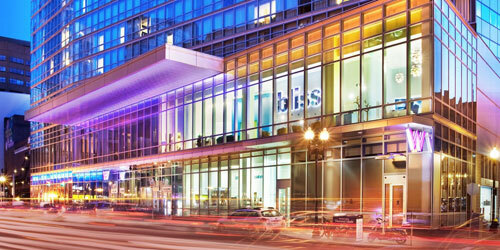 The hotel is connected to the Boston Convention & Exhibition Center, New England's largest convention center. Just eight minutes out our door board the Spirit of Boston for year-round cruises around the scenic harbor. 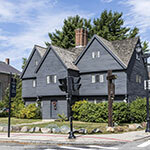 Also nearby: the Institute of Contemporary Art, the Boston Tea Party Ship and the New England Aquarium. 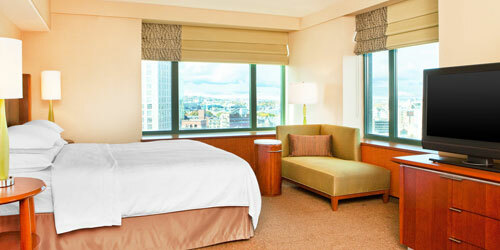 All our rooms feature the super-comfortable Westin Heavenly Bed®, and many offer views of Boston Harbor. Exercise in our WestinWORKOUT® Fitness Studio or relax in our heated indoor pool. 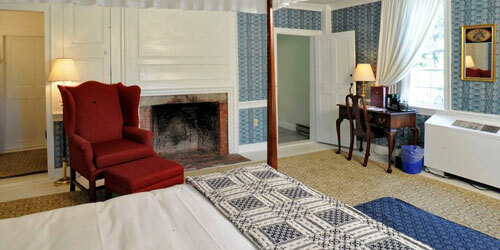 Enjoy enchanting lodging with historic ambiance and modern comforts. Adjacent to Old Sturbridge Village, the Reeder Family Lodges offer 29 units with free continental breakfast. The charming 10-room Oliver Wight House built in 1789 and listed on the National Register of Historic Places also provides four-poster canopy beds, embroidered bathrobes and slippers and adjoining room options for large parties. Signature Touch spa services are also available at the cottages. All guests enjoy the swimming pool, the kid’s playground, and the collection of 19th-century toy and game baskets. Discounted admission to OSV is included with every reservation and special packages and discounts are available for OSV members, wedding parties, and for Discovery Adventure participants during vacation weeks.